The notorious Opium-Eater returns in the sensational climax to David Morrell's acclaimed Victorian mystery trilogy. 1855. The railway has irrevocably altered English society, effectively changing geography and fueling the industrial revolution by shortening distances between cities: a whole day's journey can now be covered in a matter of hours. People marvel at their new freedom. But train travel brings new dangers as well, with England's first death by train recorded on the very first day of railway operations in 1830. Twenty-five years later, England's first train murder occurs, paralyzing London with the unthinkable when a gentleman is stabbed to death in a safely locked first-class passenger compartment. 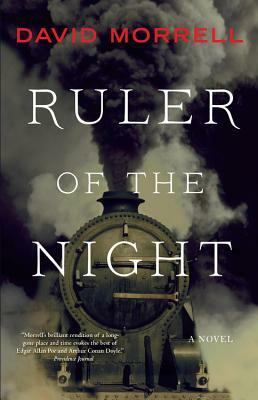 Ruler of the Night is a riveting blend of fact and fiction which, like master storyteller David Morrell's previous De Quincey novels, "evokes Victorian London with such finesse that you'll hear the hooves clattering on cobblestones, the racket of dustmen, and the shrill calls of vendors" (Entertainment Weekly).